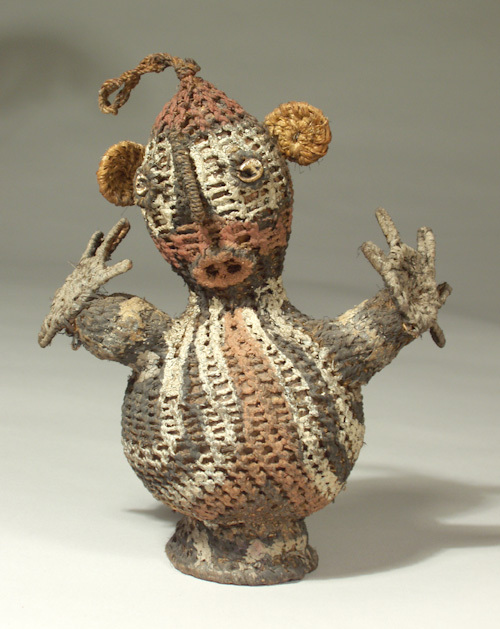 Figurine from Sepik River Basin, Papua New Guinea. Made from inner tree bark over gourd, painted with clay, charcoal, and lime. Used to tell clan stories to village children.